This is the Marc 2000 Tower in Taft corner Quirino and San Andres street in Malate, Manila. While there is not much of a significance on why I am posting this photo, I just want to share a view of the area from one of the neighboring building across the street. The road you are seeing beside Marc 2000 Tower is San Andres street, and if you drive along it you will end up at Roxas boulevard, the dark blue background is actually the Manila bay. 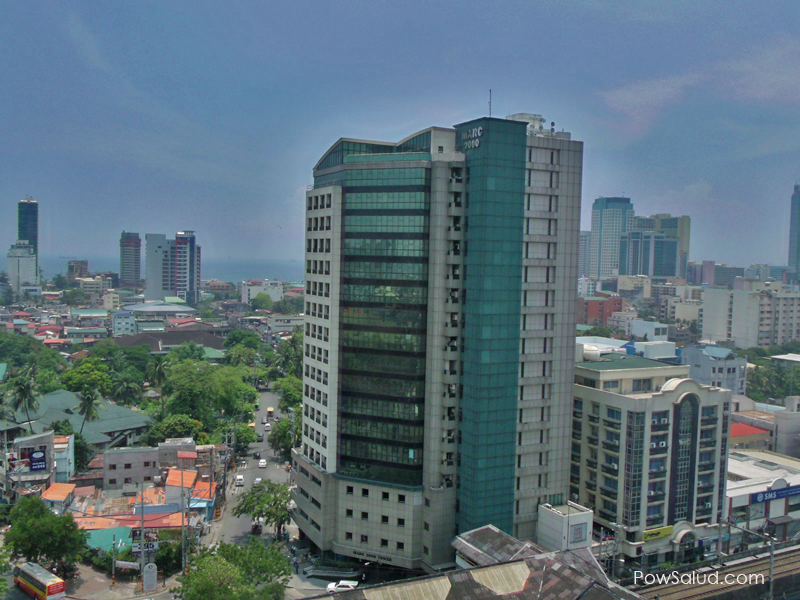 This view of Manila is not that bad actually.